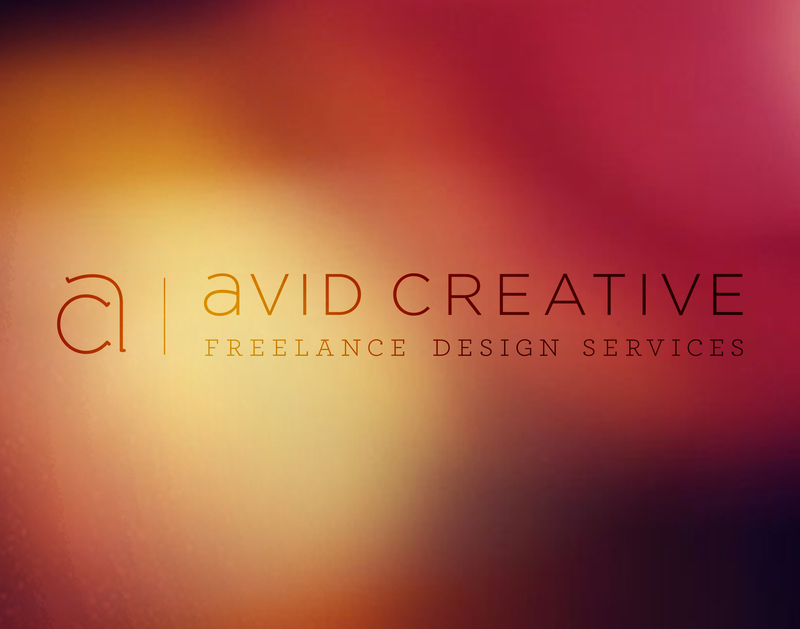 The Problem: Avid Creative needed a rebrand. It was time for a facelift, as the old logo was becoming dated. If you are already on this site you know that Avid Creative is a design studio, which makes it very important to have a good logo and branding in general. As a sole proprietor, I became my own client for two weeks. It was a little harder than one might think, as you tend to second guess your decisions. There was a lot of tweaking of the lettering, kerning and making sure their was proper spacing. Not to mention trying to find a beautiful colour palette that I wouldn’t get bored of. The previous logo I had seemed to be a little dated. So I went to the drawing board and came up with a simple idea of having the ‘c’ incorporated into the ‘a’ to form a full ‘a’, opposed to the previous version with the ‘c’ overlapping the ‘a’. The logo is derived from the gotham font which is used across the Avid Creative brand. I also brought in a lower case ‘a’ to the text portion and tweaked the thickness to fit in with the upper case text in the rest of the logo type. As well I changed the bottom font text to Archer. As the rest of the logo seemed to be too simple, so I wanted a nice balance with the fonts. The idea was to have consistent branding and feel accross all social media platforms & online presence, while being diverse with the application of visuals. Using my business plan as a driver of the brand visually, this helped make sure the representation of the brand is in the right direction.